The Govt. of India has launched another efficient and smart way of making cashless transactions viable to general public, with the launch of Bharat QR code. This is a unique payment system where one can just scan the Bharat QR code through his / her mobile and pay the money online. After the wave of demonetization brought by PM Modi in India, there has been a exponential growth in the use of transaction procedures where there is no involvement of hard cash. Indian economy is slowly transforming into a less cash economy which is also the agenda of the Modi Govt. So the innovation and introduction of Bharat QR code is a welcome initiative by the Govt. which will be beneficial for any type of payment and will end the dependency of both cash as well as cards. The Govt. has developed a quick response code named the Bharat QR code for making cashless payments among peers, more convenient. This payment mechanism which is done just by scanning the QR code is fast, safe and very easy to use for any customer or client. QR codes are matrix barcodes which features several arrangements of squares and contains information about a link or item. They are only readable by QR scanners available now a day. The new Bharat QR code is similar in nature which will be used for making as well as accepting payments. The code will store the details of account of the merchant. When one scans the Bharat QR code, the payment procedure will start. This QR code payment mechanism is just a replacement to the regularly used POS payment systems. Each merchant willing to use the Bharat QR codes in their payment options may have this QR code displayed in their stores. When a customer scans the code, the customer easily gets the payment gateway for making payments to the merchant’s bank account. Each merchant will have unique Bharat QR code which will store the bank payment details of the merchant. The customer will just need an application which should be installed in the phone to scan the QR code with the device’s camera. This payment system is independent from any transacting restrictions and will be universally accepted in India. QR codes are not very new in the India. The first QR code payment system was introduced by VISA which launched their mVisa service in the country several years ago. Through this system, customers could make payments for Airtel Digital, Taka Sky etc. After that, Master Card also launched their own QR code. However, the use of QR codes in India as one of the major payment techniques was channelized by none other than PayTM which grabbed the market with their digital payments solutions and providing user friendly cashless transaction procedures to the customers. This payment system is now a common use by all the digital wallet vendors like FreeCharge, mPesa, etc. The recently launched BHIM app also has QR code system of payment. But every QR code payment mechanism available in the country is functional only in a closed system and has dependency to a particular environment. This means, when a customer is scanning a PayTM’s QR code, there should be PayTM installed in the device of the customer. So this limitation will be ended by the Bharat QR codes as these will be universally accepted payment QR codes across every platform. The Govt. has decided to make the Bharat QR code platform independent and universally accepted throughout the nation. To do this task, the dependency of this payment system in just one platform is to be eliminated. At present, the Pockets application used by ICICI bank has this feature to read Bharat QR code. Another bank which also added this feature in their mobile payment portal is HDFC, through its PayZApp. The Bharat QR code is easily accessible by the BHIM app also. So within a short span of time, other banks will also add features to their mobile payment apps so that the Bharat QR codes can be accessed and used for make and accept payments. 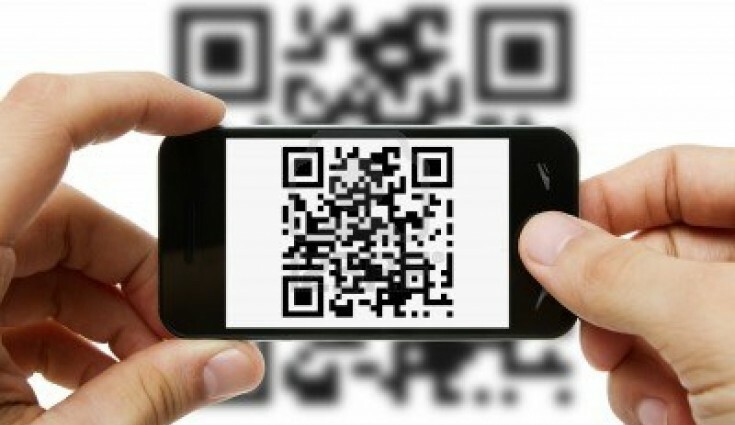 The first and the most important benefit of Bharat QR code is the wide acceptance feature of it. It may be used by any of the digital wallet portals or any bank mobile applications for sending or receiving. This Bharat QR code is totally platform independent and is open source. The Bharat QR codes may be a successful replacement of POS machines which are used by merchants to accept cashless payments. There will be no need to purchase a POS swiping machine. The merchant will just need to have a Bharat QR code pasted in the store and customers will scan and make payment through it. All payments made through the Bharat QR code scanning will be IMPS which means that the payment will be immediate and will not have a transaction delay involved. Through this payment method, there will be no limit on the amount of fund transacted in one month. Most digital payment portals like PayTM or Mobikwick has a certain capping on the amount of fund that can be accepted in one month. With Bharat QR code usage, the merchants will have the amount credited directly to the bank accounts linked with the system. There will no wallet storage which will have to be again transferred to bank account, as in the case of PayTM. The presently used cashless payment systems through credit / debit cards or internet banking has several security issues where card details can be stolen for making transactions. With the Bharat QR code, there is no such issue and the payment mechanism is totally secured from any malpractice. Merchants can have either a static Bharat QR code or choose dynamic QR codes for accepting payments. This means, the entire control is on the hands of the users. A static QR code is one time generated QR code where as dynamic QR codes have to be regenerated every time for every separate transaction. Open the BHIM app or any banking app which supports the Bharat QR code. Several banks have already integrated this feature. Start the ‘Scan QR Code’ procedure. This will need to open your device’s camera. Keep the camera steady in front of the QR code of the merchant so that it can read it. After the device successfully scans the Bharat QR code, it will show the details of the beneficiary with which it got connected. Enter the amount to be paid. There will also be a remarks field. There will be a password protection and the customer must put that password which may be static or for every transaction, new password will generate and sent to the customer’s mobile. After the authentication process, the money will be transferred from customer’s account to the merchants account and confirmation will be shown.